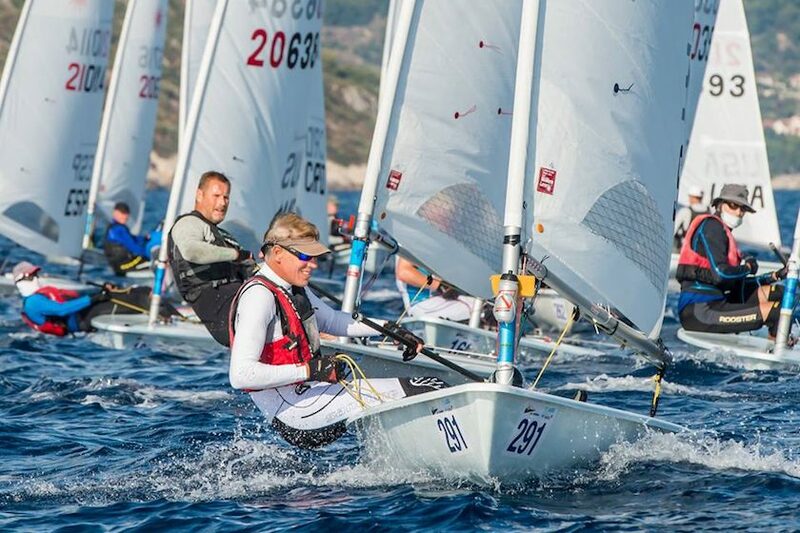 (Split, Croatia) – Racing on the final day of the Laser Masters World Championships was brought forward an hour to increase the possibility of all fleets sailing at least one final race. In hindsight, it was a wise move as the wind pattern of previous days was repeated. An offshore land breeze from the North eventually shifted to build from the South West after a two-hour wait afloat. 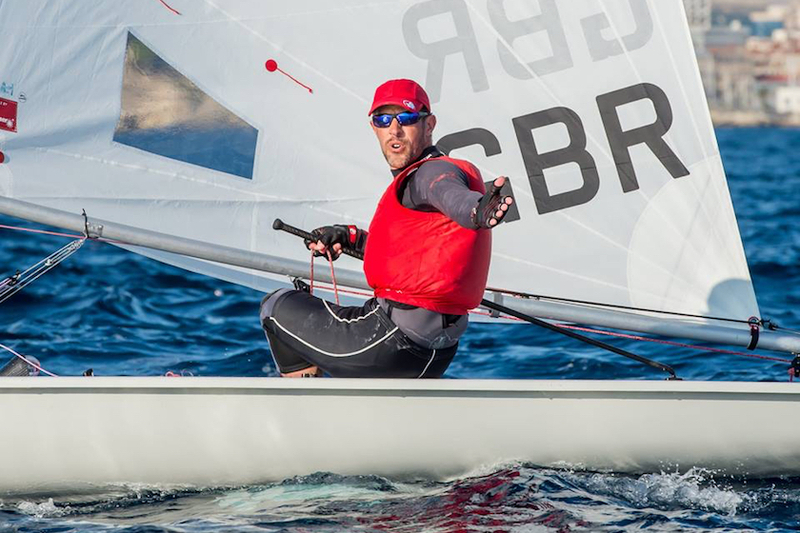 Jon Emmett GBR continued his run of first places in the Apprentice fleet, finishing 9 points ahead of Anastasia Chernova RUS. 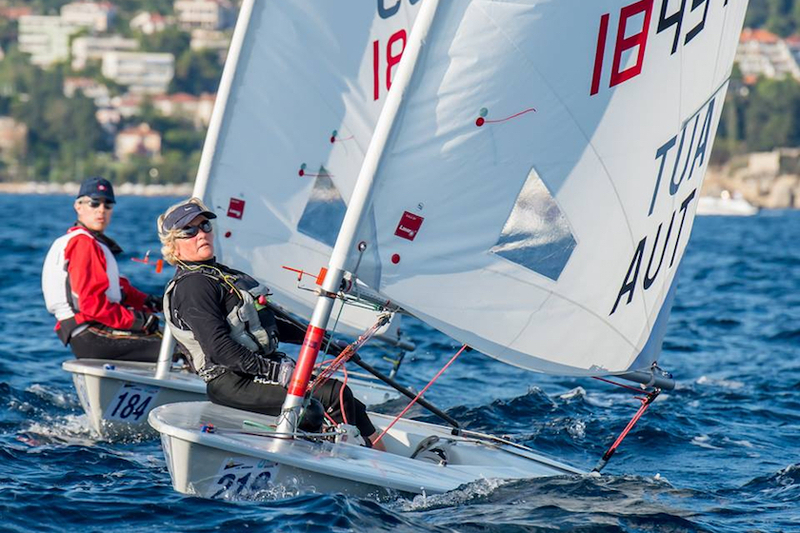 The overall top three positions also remained unchanged in the Masters fleet, with line honors going to Scott Leith NZL ahead of overall winner Alessio Marinelli ITA. In the Grand Masters fleet, overnight second place Pierantonio Massotto ITA also won his race but it was not enough to displace the overall leader, Martin White AUS who crossed the line in third place. Terry Scutcher GBR managed to steal third place overall by one point from his fellow countryman Rob Cage, finishing the last race in fifth to Cage’s tenth. Bill Symes USA claimed his third successive first place finish in the Great Grand Masters fleet, to secure and increase his lead over Rob Lowndes who led the first of the 7-race series. 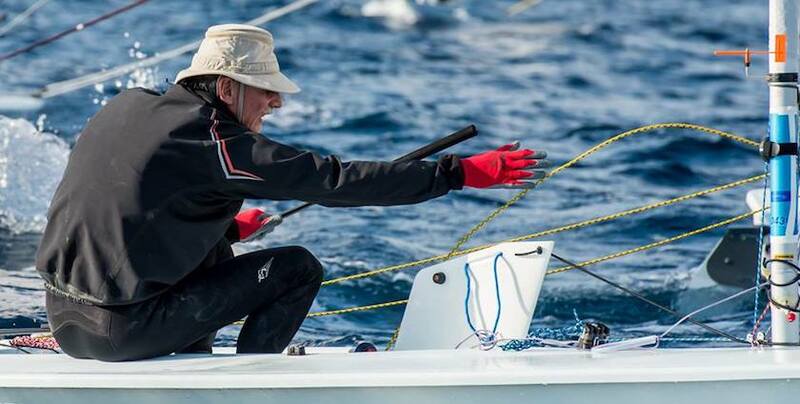 In the 17-strong 75+ “Legends” fleet, racing with the Great Grand Masters, the first and second overall also scored third and fourth overall in the joint fleet results. Overall winner, 78-year-old Kerry Waraker AUS, finished ahead of long time campaigner and previous winner 79-year-old Peter Seidenburg from USA. It will not be a surprise to see the battle continue next year! Although racing started on both courses at the same time, the Standard fleets pushed closer to their cut-off time due to several recalls. However, there was no delay in the first fleet when Maciej Grabowski POL completed a perfect score of 7 first places ahead of second place, Maxim Semerkhanov RUS. 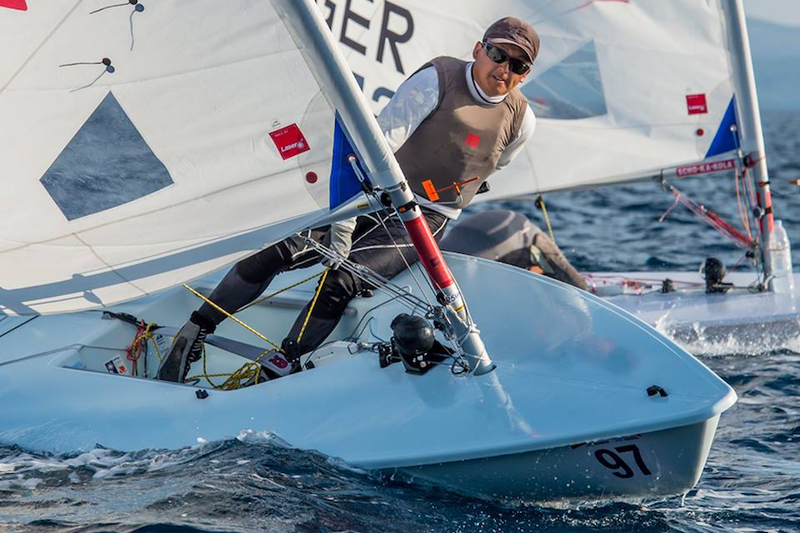 After finishing within one point of the overall leader in the largest Masters fleet, Peter Hurley USA could not repeat his first place and instead finished third to the ever-consistent Brett Beyer’s AUS first place. In the Grand Masters division, the West versus East battle of the two Canadians, Allan Clarke and Andy Roy ended in victory for the West after Clarke finished second in the last race behind local ace Malden Makjanic. Roy scored his worst result of the series, an 8th, which was enough to reclaim second place from Tomas Nordqvist NOR, who finished ninth in the race and third overall by one point. In the Great Grand Masters fleet Doug Peckover USA scored his first bullet ahead of Alan Keen RSA. Behind these two, the tight battle for overall honors between Frank Bethwaite AUS and Michael Nissen GER went to Nissen. He finished third as Bethwaite scored a fourth, each of which was respectively their lowest result.